The Haskell Mystery: Did She or Didn't She? It intrigues me how some crimes capture the public imagination and gain an eternal fame (see the ubiquitous "the Ripper, Jack") while other atrocities, no matter how well-publicized they were in their day, sink into an undeserved obscurity. For example, one of Edwardian England's strangest--and saddest--murders not only remains unsolved, but lies virtually forgotten. It was a true-life Halloween night horror. Twelve-year-old Edwin "Teddy" Haskell and his 34-year-old mother Flora lived in Fisherton, a suburb of Salisbury, Wiltshire. 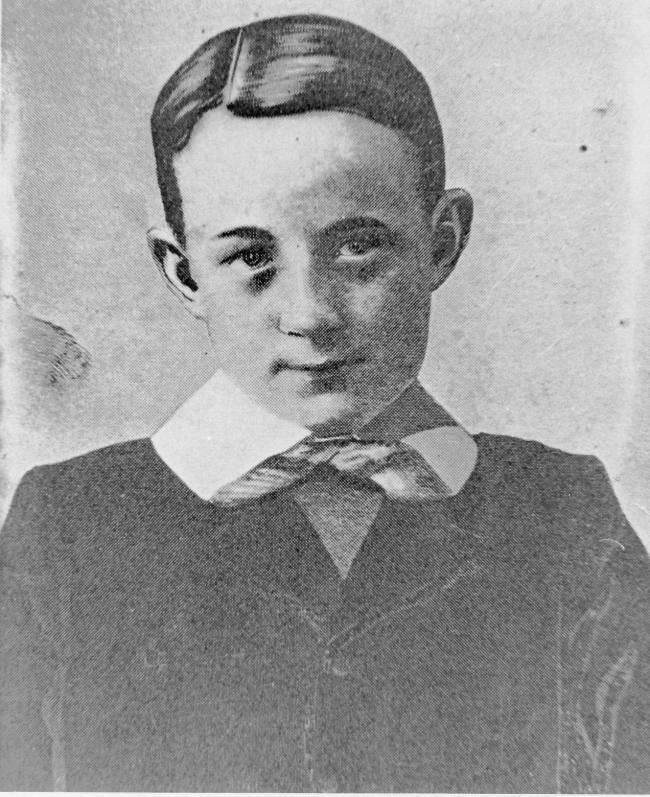 When Teddy was six, he contracted tuberculosis in one of his legs, causing the limb to be amputated. Fortunately, the child coped with his loss quite well. He had little trouble getting around on crutches, and even played football with his friends. He was an engaging, cheerful boy who was well liked by everyone who knew him. The widowed Mrs. Haskell was a laundress with little money, but she and her son were devoted to each other, and seemed perfectly content with their lot. Despite her scanty income, Flora was saving as much cash as she could to buy her son an artificial leg. Around 10:30 on the night of October 31, 1908, Percy Noble, a nephew of Mrs. Haskell's went to her house to return a shilling he had borrowed. He knocked at her back door. There was a light in the kitchen. He heard a chair being moved, and a "thumping noise," but did not hear a door being opened or closed. He was startled to hear Flora scream. She flung open the door and shrieked, "Go and see if you can see that man. He has killed my poor Teddy. Go for a doctor!" Noble looked up and down the road, but could not see anyone. He fetched a doctor, as well as a police sergeant. When neighbors and the police went upstairs, they found Teddy's corpse lying in his bed. Someone had slit his throat. A blood-stained knife was lying at the bottom of the stairs near the kitchen. The upstairs drawer where the money for Teddy's cork leg was stashed had been broken open, and part of the cash was gone. Contemporary newspaper photo of the Haskell home. The story Mrs. Haskell told police was both extremely simple and bafflingly weird. She claimed that after putting Teddy to bed, she went to sit in the kitchen. A short while later, she heard a noise. Thinking it was a visitor, she went to the front door. Then suddenly, a strange man ran down the stairs, shoved her aside, and fled into the night, throwing a bloody knife at her before he vanished. Flora could give only a partial description of the man, who was not seen by any of her neighbors. Police could find no trace of him. Investigators learned that the murder weapon was a knife belonging to Mrs. Haskell. It had recently been sharpened. The more the police pondered Mrs. Haskell's story, the less they believed it. Inspector Walter Dew of Scotland Yard (who later gained fame by arresting Dr. Crippen) was particularly insistent that Mrs. Haskell was the guilty party, and successfully argued that she be arrested. "If I did it...I don't remember," she said plaintively. The prosecution's strongest evidence lay in the blood-stained clothing Flora had worn on the night of the murder. Medical experts testified that the stains showed no "splash," such as would be expected if a bloody knife had been thrown at her. Similarly, blood found in the Haskell kitchen was consistent with the knife being laid down, not dropped or thrown. The Crown also pointed out the strange fact that according to Flora's story, she did not go upstairs after seeing the mystery man come down, but she instantly concluded that he had murdered her son. The jury was left with a grim conundrum: It seemed nearly impossible to picture this hard-working, decent woman brutally killing her beloved only child, but if she didn't, who did? In the end, the jurors were left hopelessly deadlocked. Flora was tried a second time, with this jury returning an acquittal. 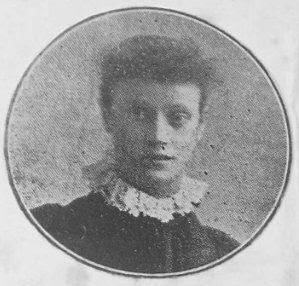 After she was released, Flora Haskell moved to London, where she died of tuberculosis in 1920. No other suspects in her son's peculiarly savage and puzzling murder were ever found. 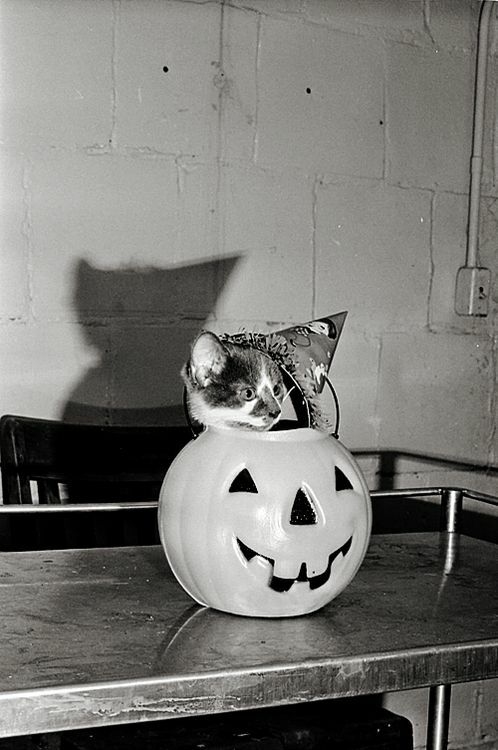 For one last time this year, our weekly Link Dump is brought to you by the Halloween Cats! 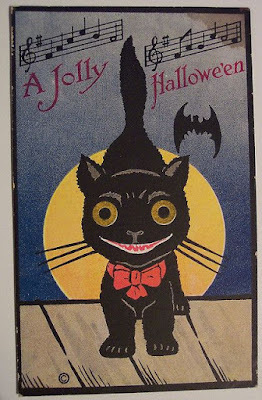 Watch out for those laughing Jack o'Lanterns! Watch out for those Thames crocodiles! Watch out for those ghostly swine! Watch out for those crash ghosts! Watch out for those Victorian snowball fights! Watch out for those Early Modern ghosts! Watch out for those Renaissance sea monsters! This week's Advice From Thomas Morris: A cotton press is not a toy. NEITHER IS A WOODEN GOBLET!! The mystery of the twin avalanches. Christopher Marlowe, step up and collect a boatload of late royalty payments. Victorians used cigarettes to cure asthma. The bones of Alice Cooper. An African abbot in Anglo-Saxon England. A friendship between 18th century royals. 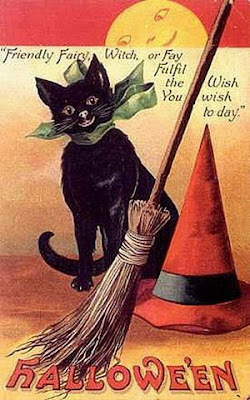 Because we can't get enough of witchy black cats. Just in time for Halloween, here's Napoleon's ghost. A 19th century Hoosier Halloween. A sailor's epic last voyage. The case of the X-rated ghost. The case of the abandoned ayah. The case of the Cowled Figure. The law of Adulterine Bastardy. Hey, let's throw a Halloween party! 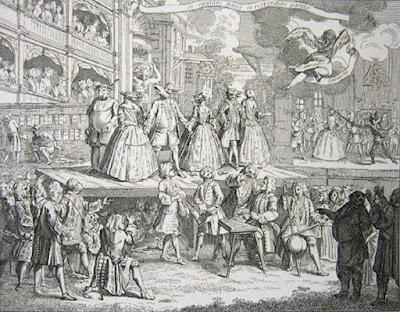 Hey, let's talk Tudor orgies! A printer is corrupted by the theater. In which we learn that George Washington was a really lousy poet. A 7,000 year-old road trip. A 2,000 year-old crossword puzzle. This week in Russian Weird looks at the cauldrons of the Siberian Valley of Death. It's the Great Killer Pumpkin, Charlie Brown! 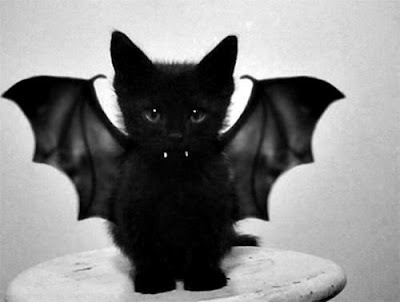 It's nearly Halloween! A time for fun, magic, mysticism, elaborate costumes, excited Fall revelry. Well, except around Strange Company HQ, of course. Hey, what sort of blog do you think we're running here? 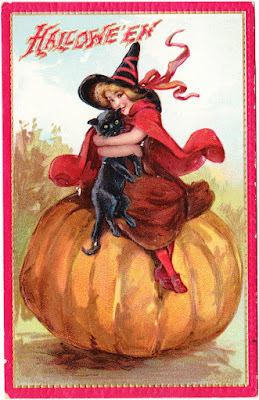 That's right, it's time for our annual look at Halloween tricks and tragedies! When on Hallowe'en a Glasgow mother found her 13-year-old son disporting himself in a pair of immaculate white flannel trousers, she wisely came to the conclusion that something must be wrong somewhere, and promptly informed the police. What the police discovered was related in Glasgow Police Court yesterday, when four boys appeared in connection with an attack on an effigy of Harold Lloyd, the film comedian. Seeking appropriate carnival clothes, the boys, it was stated, entered the display window of a local cinema which was showing the comedian's latest film. An effigy of him was stripped of its entire make-up, which consisted of a college blazer, white flannels, and a straw hat. The boys managed to enter the window, remove the clothing, and make off without being disturbed, although the window faces a busy street. The clothes were shared by the youngsters. They were placed on probation for three months. An 18-year-old immigrant from Grimsby, Thomas Hart, who had been working on his uncle's farm at Kemptville, Ontario, was shot dead in a Hallow'een prank on Wednesday. Greensburg, Pa., November 1--During the Halloween celebration in Vandergrift Heights last night, Roy Salsgiver, a prominent young man, was shot and instantly killed by a man named Charley Manilla, with whom he had an altercation. Manilla was arrested. Chicago, November 1--As the climax of a Halloween prank, William Sears was mistaken for a thief early today and was shot in the back and instantly killed by Patrolman Nicholas Smith. Sears and Frank McKune, 18 years old, were passing through an alley when they were seen by a policeman. They carried between them a basket. Calling to the men to halt, the policeman says they paid no heed to him. After repeated calls Smith fired and Sears fell, while his companion disappeared down the alley. McKune was arrested shortly afterward. 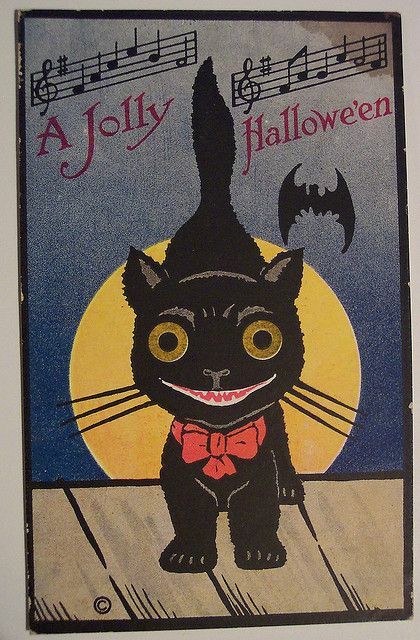 He said that he and Sears had been playing Halloween pranks in that neighborhood, but he failed satisfactorily to explain why he ran after called upon to halt. The old Halloween prank of hiding the farmer's wagon [Ed. note: ???!?] caused death of one man and injury of another in Antioch, Ohio. The wagon which Gerald Muth and Howard Wonhaus, both of Antioch, were guiding from the rear of an automobile broke loose and ran over them. Muth, 30, died in a hospital in nearby Barnesville. Wonhaus suffered critical hurts. Elizabeth, N.J., February 6--Harold M. Wilcox, treasurer of the organ works at Garwood, N.J., indicted for manslaughter for killing, by shooting, John Darling, aged 15 years, at Westfield on Hallowe'en night, while he and other children were playing pranks about Wilcox's house, was arraigned in the Union County Court this morning. He pleaded not guilty and was admitted to bail in $5,000. His bondsmen are Philip H. Mahan and John A. Dorman. The trial begins on February 21. 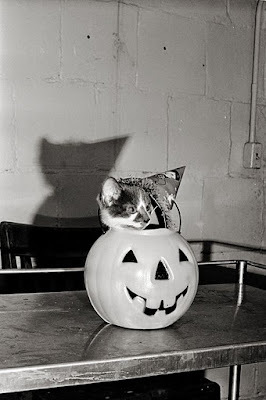 The explosion of a bomb or a giant firecracker in the vestibule of the home of Mrs. Mary Meyer, at Eighty-eighth street and Seventh avenue, Fort Hamilton, last evening, broke up a gay Hallowe'en party, at which Miss Irene Meyer was the hostess. The explosion occurred about 10:30 o'clock, when the gayety of the occasion was at its height, and there was great confusion verging almost upon a panic among the guests. After quiet had been restored and the guests were assured of safety an investigation was made, and it was found that the vestibule had been badly damaged. The front door was blown out, and several windows were broken, but so far as is known no one was injured in the crash. 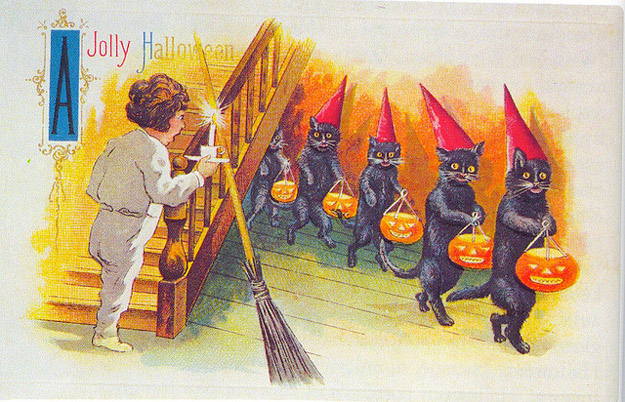 Mrs. Meyer lived in a two story frame dwelling in a neighborhood that was alive with Hallowe'en pranks last evening. Soon after the explosion had occurred the police were notified and Police Captain Creamer sent Detectives White and Waring to the scene to investigate, and if possible to find the person who caused the explosion. Its effect was the hurling of splinters and flying glass in all directions. At first the police believed that a bomb had been used, for it is said that they discovered a piece of fuse which had evidently been used. It was thought that the fuse was a part of mechanism used in army work explosives, and the attention of the police was directed toward the Fort Hamilton reservation. Jack Landeraff, a soldier of the One Hundred and Twenty-third United States Artillery, was present at the party, and others from the reservation were present at the party and the police believed that the firecracker or bomb had been exploded by some other artilleryman at the fort who had not been invited to the festivities. "I had no idea that I had gained the enmity of any one. I don't see how any of us escaped with our lives. I hope the police will catch him and deal with him to the law's letter." The police are not certain whether the explosion was caused by a bomb or a firecracker. 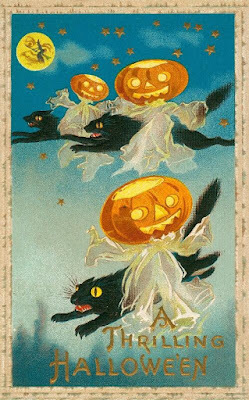 It is possible, however, that some of the mischievous boys in the neighborhood who were celebrating with all kinds of Hallowe'en tricks, placed a great firecracker in the vestibule. The explosion broke up the party, and a short time after quiet was restored the guests departed in a very excited mood. It was Hallowe'en when the following incident took place at a small rural village that is situated on the banks of the Southesk fully a quarter of a century ago. Not withstanding the lapse of time, the narrow escape I then made still clings to my memory with that persistent tenacity that even the turmoil of every-day life cannot efface:--I was on my way to join a companion, to engage in a "guising" expedition, and went by a footpath that crossed the lade at the miller's trows. Trow is the name given to a large wooden trough that conducts the water with greater force on to the water wheel. Small wooden bars, ten or twelve feet apart, cross the trows above the water level to strengthen them. The bar I attempted to cross was the third one from the water wheel. When almost across my foot slipped, and I fell on my back in the water. I clutched the bar as I passed underneath it, and in trying to turn round I lost my hold, and was swept down the current. I got hold of the last bar in very much the same way as I caught the first, only I was able to hold my head above water. I shouted for assistance, and made frantic efforts to gain a footing. The awful situation now dawned upon my mind that the world, with all its youthful hopes and aspirations, would be gone from me in a few moments. Only those who have been in the immediate presence of the King of Terrors can form any adequate conception of what my feelings were. The great breast and wheel revolved with a lapping sound within a few feet of where I lay on my back, while the surging stream lashed me with unrelenting fury. The love of life is strong, but I felt my hands giving way. I thought my time was come, when all of a sudden the water subsided. I scrambled out of my perilous position, and got home, and by next morning I felt very little the worse of my ducking. I afterwards learned that the water was shut off as a Hallowe'en prank on the miller, who was busy and running overtime. The lark of the letting down of the sluices may have been a loss to the miller, but it proved a great gain to me. I believe the incident was the working of the Unseen Hand that rules the universe. So, that's our Halloween fun and games for 2016. As always, I hope you all enjoy the holiday more than the subjects of my blog. And for God's sake, let poor Harold Lloyd keep his clothes on. The life of Margaret Clement reads like a fairy tale in reverse: an idyllic beginning, with a dark and tragic end. Her father, Peter Clement, was a classic rags-to-riches story. This penniless Scottish laborer emigrated to Australia, hoping to change his luck. He did. By the time of his death, he was one of the richest men in the country, thanks to his remarkable success investing in real estate and goldmines. This dramatic reversal of fortune failed to bring him happiness, however. He was remembered as a gaunt-looking, quiet man who never was really able to put his hardscrabble past behind him. He was determined that his six children would never experience anything like the deprivation and desperate hard work he had known. The Clement brood had the best of everything: excellent educations, luxurious travel, a mansion full of servants. It could be argued that Peter succeeded too well. While deprivation and struggle can scar a person, a complete absence of such experiences often leaves one completely unfit to deal with the ordinary troubles that are an inevitable part of even the most sheltered life. Margaret Clement was, unfortunately, a perfect example of this. In 1890, her father died of heart failure. Margaret was only nine years old at the time. The sensitive, pampered girl was unable to cope with her loss, growing up as a sad, withdrawn young woman. When she graduated from school, her mother sent Margaret and her sister Jean on a round-the-world trip, hoping this would bring the girls "out of themselves" a bit and expand their horizons. It was a great success. The two well-mannered, cultured girls were warmly welcomed everywhere they went. They were even presented at the British court almost as if they were fellow royals. The pair, unsurprisingly, received many marriage proposals. 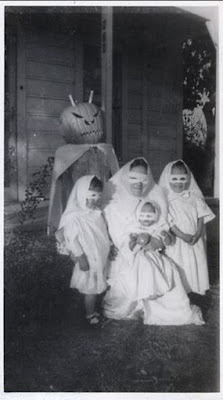 However, the Clement girls were having far too much fun to want to settle down quite yet. "There'll be plenty of time for husbands later on," Margaret often said. They also took no interest in the management of their vast wealth, preferring to leave such mundane details in the hands of others. They grew up knowing as little about handling money and property as a pair of infants. By the time they finally returned to Australia, the sisters had bought so many artworks and antiques that there was literally no room for them in the family home. The solution the Clements found was to move to a bigger house, an 18-room mansion named Tullaree. It was located in an area that was vulnerable to flooding, so its builder, Charles Widdis, placed the home on a steep rise and installed a complex drainage system to keep excess water away from Tullaree and its surrounding farmland. It was a clever system which worked quite well, but it required a good deal of upkeep. With their habitual carelessness in practical matters, Margaret and Jean ignored this necessity. Their negligence would eventually bring them both to disaster. In 1907, the Clements moved their art treasures into Tullaree, and stocked its paddocks with fine livestock. A farm manager and a team of workers were hired to run the establishment. Although Mrs. Clement and all her children officially became "tenants" of the farm, receiving a share in the profits, the only family members who actually lived there were Jean and Margaret. Their other siblings had married by this point, and had homes and families of their own. The two sisters loved their home, and for good reason. It was a private paradise, with landscaped gardens, sparkling fountains, and lush, rolling farmland. Their farm manager capably tended the crops and livestock, while the mansion's team of servants kept the Clements in well-bred comfort. The two young women had no work and no responsibilities, leaving them free to do nothing but enjoy life in any way they pleased. The Clement girls loved to show off their lovely new home. They gave lavish garden parties for hundreds of their friends and neighbors. Their eldest brother, Peter Jr., became uneasy with their careless profligacy, and occasionally warned them of the need to keep track of their spending. Jean and Margaret ignored him. The farm was proving to be a great success, bringing all the Clements a generous income, and the sisters saw no reason why the good times would not last forever. The Great War began to change that, as it changed so many things in the world. In 1914, Peter Clement enlisted in the Australian army. He survived, but was left gravely wounded and suffering from shell shock. He was never the same man again. After the end of WWI, he was too shattered mentally and physically to interest himself in Tullaree. Peter died from a mysterious gunshot wound in 1944. The coroner returned an open verdict, but it was generally believed that he committed suicide. The other brother, William, was too busy with his own life to manage the estate, leaving Tullaree entirely in the hands of Jean and Margaret. For the first time in their lives, the sisters had to assume responsibility for something. At first, this made no difference to their charmed existence. The sisters resumed their pre-war lifestyle of lavish parties and unbridled spending. As they grew older, however, they realized something was missing. For the first time, they began to think longingly of marriage and children of their own. The women were growing tired of a life spent doing nothing but chasing pleasure, and envied the comforting domesticity of their siblings. But by then, it was too late. All their old beaus had either married or died in the war, and no new ones seemed eager to take their place. They discovered other differences in the post-war world. The working class had more opportunities in life than just acting as hired help. The sisters were finding servants harder to find, and these employees were less well-trained than in the old days, and they demanded better salaries. The estate's palatial gardens and expansive farmland slowly began to show signs of neglect. Some of their new employees took advantage of Jean and Margaret's ignorance of business matters by swindling them. One of their farm workers had taken to secretly selling their best cattle and replacing them with inferior animals. When this fraud was finally uncovered, the man fled, taking with him a good deal of Tullaree's money. The most ominous sign of decay was in the estate's drainage system. It had been neglected during the war, with the result that water from the area's frequent rainstorms was beginning to stagnate under the property. The sisters were in great danger of having their grand estate turn into a giant swampland. Efforts were finally made to clear the drains, but by then the system was too clogged for any amateur efforts to fix it. The sisters were urged to hire an engineer to deal with the drains, but the thought of overseeing something as complex as draining and replumbing their estate was simply too much for them. The cost of such an undertaking was also daunting. Margaret and Jean had no idea what had happened, but for the first time in their lives they did not have an unlimited supply of money. Their lives quickly crumbled, along with their once-elegant estate. The water was beginning to be a serious problem. The increasing wetness of their land led to many of their sheep dying of foot-rot. Floods drowned their cattle. Tullaree's roof began to leak badly, damaging their carpets and furniture. Naturally, the farm's income was badly depleted. The sisters' debts began mounting. Jean and Margaret's alarmed siblings finally put their collective foot down and demanded--rather late in the day--that their sisters grow up. They presented the two women with a list of demands--not suggestions, but demands. Tullaree's house servants would all have to be let go. The farm employees would have to be fired as well, except for one man who would get the cattle into decent enough shape to be sold. There were to be no more banquets, garden parties, or holidays abroad. Some of the farm land was to be sold, with the proceeds going towards repairing the house and its drainage system. Margaret and Jean meekly agreed, but this plan proved to be too little, too late. They could find no buyers for their waterlogged farmland. They were finally forced to heavily mortgage Tullaree, just barely meeting the interest payments by renting out the driest areas of their land to neighboring farmers. The once envied and celebrated Clement sisters had devolved into two aging, penniless spinsters living uncomfortably in a damp, crumbling home. If they failed to keep up their mortgage payments, eviction and homelessness loomed. They were completely dependent on handouts from their more fortunate siblings. One morning, after a night of hard rain, Margaret prepared to make the long walk into town to buy the small amount of provisions they could afford. When she opened the front door, she nearly fainted from shock. Overnight, the rain-swollen river nearby had overwhelmed Tullaree's frail drainage system, leaving the entire property completely underwater. All she could see over the lake that surrounded her was the roof of their garden's gazebo and the tops of a couple of the larger statues. The sisters became virtual island-dwellers, surrounded by a moat. The water never really receded. The house was soon invaded by snakes and rats seeking to escape the floods. Neighbors began to refer to the Clement sisters as "the swamp ladies." The women were virtual recluses. Their only company was a host of stray felines--the sisters loved cats--and a small dog named Dingo. Margaret became accustomed to wade through chest-deep water whenever she needed to leave her home. Jean, who had become a cripple, never left Tullaree, a prisoner in her once-grand home. In 1950, Jean died, leaving Margaret alone. A wealthy local real-estate developer named Stan Livingstone now entered the picture. He wanted to buy the ravaged Tullaree at a bargain rate, drain the place, fix it up a bit, and then sell the estate for a large profit. He made Margaret an offer: If she agreed to give him Tullaree, he would pay off the mortgages, build a small home on the property where she could live rent-free for the rest of her days, and give her a lump sum payment of $12,000. 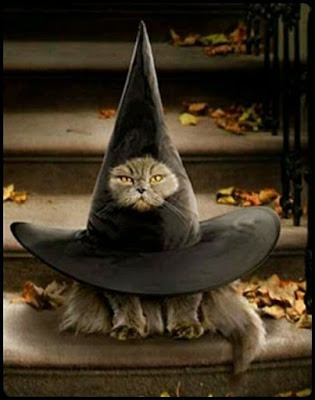 Margaret's relatives smelled a rat, and urged her to refuse the offer. But the lonely, frightened old woman was desperate for some sense of security. She had longed for someone to just take the horrible problem of Tullaree off her hands, so Livingstone's deal seemed perfect. She agreed almost instantly. Livingstone and his wife Esme appeared to treat Margaret with great warmth and kindness. They lavished her with gifts and dined with her nearly every day. Margaret Clement felt that at long last, her troubles were over. They soon were, but hardly in the way she had wished. On May 24, 1952, Livingstone told the police that Margaret had vanished. He had gone to her house to find the front door wide open. Her walking stick, which she carried with her everywhere she went, was lying in the hall. Her bed had not been slept in. A massive search was carried out in the dismal, swampy land around Tullaree, but no trace of her was discovered. 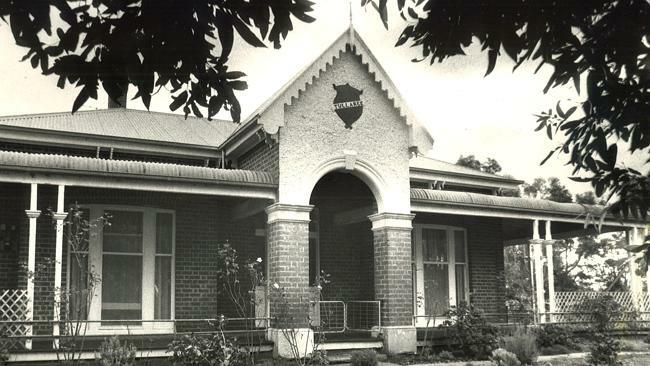 Livingstone carried out his renovations of the estate, and in 1963 sold it for a tidy profit. The police were convinced Margaret had been murdered--and you probably can guess who their chief suspect was--but they had no evidence of this until 1978, when human bones were found in a shallow grave about two and a half miles from Tullaree. At that same site was discovered a shovel, a hammer, a woman's shawl and a small purse containing a few pennies. Many people believed that at long last, Margaret Clement had been found, but the coroner could not positively identify the remains. People began casting very baleful glances at Stan Livingstone, but he stoutly denied having caused any harm to Margaret Clement, and it was impossible for anyone to prove otherwise. He died in 1992, wealthy and powerful, but with a cloud over his reputation that has yet to diminish. His wife passed away the following year. If the pair had any dark secrets, they took them to the grave. 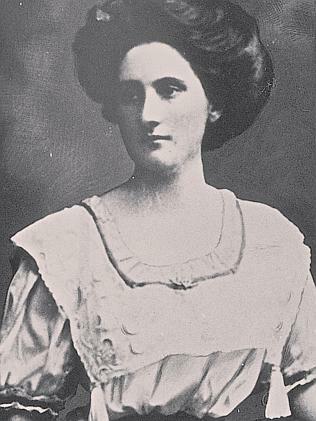 Livingstone had proposed that Margaret was murdered by Clement Carnaghan, a nephew of hers with whom she had quarreled shortly before her disappearance. However, to date, no clues indicating Carnaghan's guilt have been uncovered. 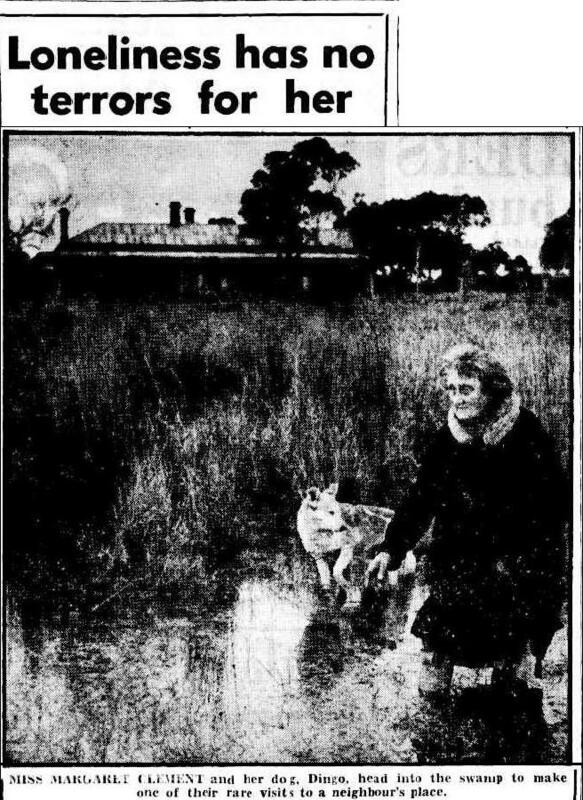 It is probable that the mystery of what became of the "swamp lady" will never really be answered. 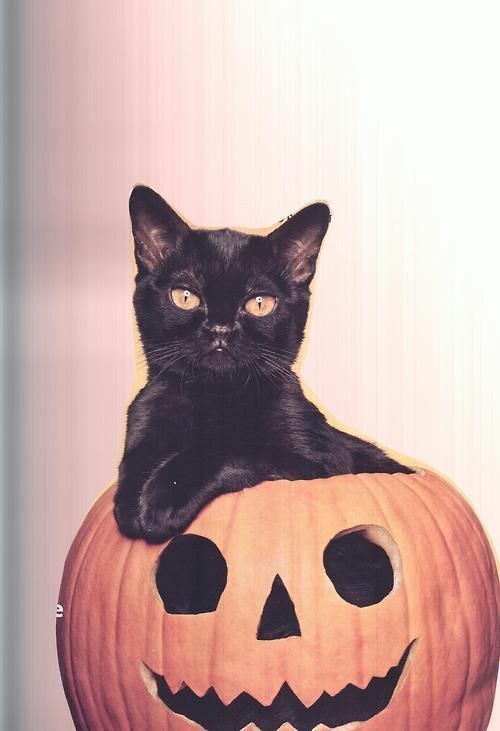 As promised, all October Link Dumps are sponsored by the Halloween Cats! Why the hell do monsters sit on your chest and try to strangle you? Now you know! What the hell caused the Ustica Massacre? What the hell are these ten ancient manuscripts? Who the hell was the Lady in Red? Who the hell was the Brown Lady of Raynham Hall? Watch out for the Southend Werewolf! Watch out for those killer boomerangs! Watch out for those Irish fairy folk! Watch out for those cold drinks of water! Watch out for those three-inch manikins! Watch out for those creepy clowns! Yes, yes, I didn't need to tell you that. The hero dog of Chelsea. How to eat like a Stuart. The hazards of being a body-snatcher. The Welsh are fighting over Amelia Earhart. Claims that life on Mars was discovered in 1976. Contemporary letters about the death of Lord Nelson. A German village of castles. Some controversial artifacts in the Azores. Remembering the great, notoriously ill-fated Phar Lap. The sad story of the sneaker-wearing goose. Why the British feared Napoleon in 1803. Sowing the land with salt. Eleanor Glanville, 17th century entomologist. This week's Advice From Thomas Morris: Don't become a writer. Unless, of course, you like having a bunch of knights doing battle in your bowels. And have nightmares. They're good for your health. The destruction of Speldhurst Church. The curious case of York's Great Bellringer Massacre. Conspiracy theories about a conspiracy theorist. The adventures of a mid-20th century walker. How to trap evil spirits. The Case of the Moving Mummy. Bring on the Dumb Duels! The St. Osyth witch trials. London in the Domesday Book. Medieval accounts of the Norman Conquest. The execution of the Oxford Martyrs. The Great Pyramid keeps getting weirder. The gruesome experiment that inspired a classic horror novel. A British pirate in 16th century Brazil. The Tudor and Stuart eras had a problem with gunpowder. A scholarly dictionary of slang. The actress put to death by Stalin. 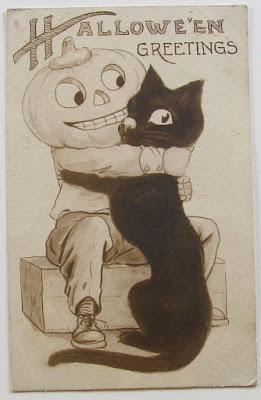 How to entertain your cat, late Victorian style. Celebrating the Toad Who Wouldn't Die. This Week in Russian Weird: Their UFOs are glowing. Life on the remotest island in the world. An American plot to save a queen. Mata Hari and the palm reader. A breath of maggoty air, anybody? 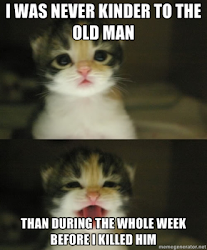 And there you go for this week. See you on Monday, when we'll look at the mystery behind a woman who had it all, and lost it all. In the meantime, here's an old British public information film that just may be the scariest horror film ever made. "For he's a jolly good fellow, which nobody can deny." So proudly chant the myriad friends of "Rummy," the Harvard University cat. Not a Harvard man in the last eight years but knows the big powerful tom-cat. In fact there's hardly a man who studied there and there surely isn't a man among those who were there and didn't study with whom Rummy hasn't shared some escapade. No mere musty old academic cat is Rummy. True, he invades President Lowell's sanctum at will; he has played with "Terry" in the recorder's office; he has vivisected a few frogs on his own account in the Zoological Laboratory; he has taken a peep at Venus in the observatory; he has browsed among the books in the Widener Library. More than that he has shared the real life of the students, especially in the days before July 1, 1919. That's how Rummy got his name. Many were the glad rides on the train to Boston Rummy enjoyed in the old days, hidden under the great coat of some merry-making under class man. On several memorable occasions Rummy went to the theatre with the boys, and after the theatre supper rumor has it that "Fred" the baldheaded boy who served 'em up in the College Pharmacy, "The Farm" caught many a glimpse of Rummy staggering up the subway stairs from the last train "home" and zia-zagging across Harvard square to the yard. The biggest cat around the square is Rummy. So proud is he of his 17 pounds that he sits up on the scales. He gets weighed about seven times a day, because parked on the platform the collegians get to betting on his weight and drop pennies into the slot to see how much he gains each day. The fellow who owns the scales is a bigger gainer than Rummy, the students say. On the open sea, a 19th century ship's captain was virtually an absolute monarch. Many handled this life-and-death power with wisdom and skill. Others turned into abusive tyrants, even monsters. Sadly for the passengers of the William and Mary, one of the worst of the lot was Timothy Reirdan Stinson. The kindest thing one can say about Captain Stinson was that he was completely unfit for his job. He was indifferent about the quality and quantity of provisions on board the vessel. If his impoverished emigrant passengers were starved, or forced to eat rotted garbage, it was of no concern to him. He saw no reason why he should bother with a ship's surgeon, trusting instead to the curative powers of ham. (All this helps explain why 14 passengers died on the ship's Liverpool-to-New Orleans journey.) His equally barbaric crew took to torturing the cook on deck, and promised passengers a dose of the same medicine if they dared to intervene. Finally, when Stinson's incompetent seamanship caused the vessel to wreck just off the Bahamas, this captain declined to go down with his ship. Rather, he and his crew commandeered the few lifeboats on board--through the handy method of taking a hatchet to a few passengers--and sailed for shore. Stinson trusted that all witnesses to his appalling behavior would soon be at the bottom of the sea, leaving him home and dry in every sense of the phrase. It's always embarrassing for a would-be mass murderer when some of his victims turn up alive, well, and eager to talk. Such was the case with Captain Stinson. Through a combination of amazing bravery, unselfish heroism, and sheer luck, many did survive the sinking of the William and Mary, and their incredible story ignited mass outrage. At a time when there were an average of three wrecks reported every day in British and Irish waters alone, the story of the White Star Line’s RMS Tayleur still stood out. 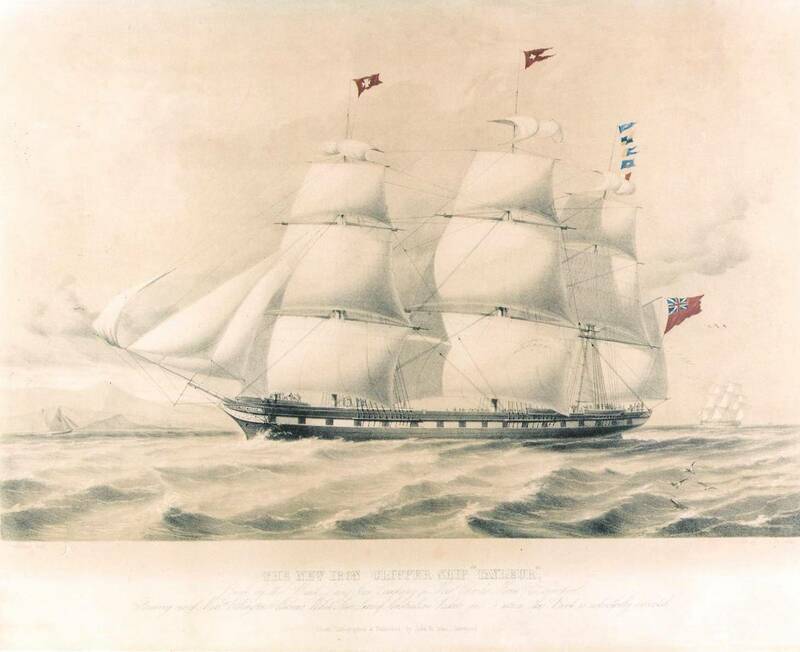 This enormous iron clipper was sailing from Liverpool for Australia in January 1854 when a combination of bad luck and awful weather meant she wrecked 48 hours into her maiden voyage with shocking loss of life, despite the first to leave the ship literally jumping from the deck to the rocks beside her. While researching this tragedy for my book “The Sinking of RMS Tayleur: The Lost Story of the ‘Victorian Titanic’” (Pen & Sword, 2014, 2015), I looked at accounts of other shipwrecks of the time and discovered the long forgotten story of the William & Mary. This ordinary emigrant ship met an extraordinary end in the Bahamas while sailing from Liverpool for New Orleans, when the vessel wrecked in a shallow channel and the captain and crew attempted mass murder (yes, really). Two very different emigrant ships, two unusual wrecks, one port of departure, and one other possible connection – a Jonah on board. Out of approximately 700 people travelling toward the Australian Gold Rush on the RMS Tayleur that stormy January day, only 290 survived – and amongst them was a man travelling alone, John Diamond. Similarly, when the William & Mary holed on rocks eight months earlier, a John Diamond was able to escape the sinking ship in a longboat before being picked up by a passing vessel and returned to Liverpool. The John Diamond who returned to England from the Bahamas appears in enough records to allow him to become one of the ‘stars’ in my latest shipwreck book, “The Lost Story of the William & Mary: The Cowardice of Captain Stinson” (Pen & Sword, 2016) – possibly enough information for a descendant reading this post to recognise him as an ancestor. In 1851, this young Irishman married the pregnant eldest daughter of a mining family in Hartlepool in the north of England. Two years later, John and Susannah decided to emigrate to St Louis with her extended family so father and son-in-law could work in the mines there. It was a tough voyage with a high mortality rate due in part to the lack of ship surgeon on board and the captain prescribing bacon to treat fever in passengers dying of measles and typhus. Susannah and John’s little girl was among the 14 to die as the emigrant ship crossed the Atlantic. When the captain and crew abandoned the sinking ship in the Bahamas, murdering several passengers with a hatchet as they did so, John Diamond went with them. His pregnant wife screamed for him to come back but to no avail, and she threw her wedding ring into the water after him. She went into labour prematurely and a Dutch doctor and midwife helped her deliver the child while she was partially submerged in the sea – literally up to her waist in water. The baby died half an hour later but 19-year-old Susannah managed to stay alive for another 18 days, consumed with fear over the fate of her husband. She reached the safety of the British Army barracks in Nassau then died of yellow fever, and is buried in the Bahamas. Her family continued their journey to New Orleans then St Louis and eventually settled in Hangtown, California (so called because of the number of executions there). But what happened to Susannah’s widower? There were around 160 adult John Diamonds of various spellings recorded in the UK census of 1851, several years prior to these wrecks. Many of the men had families, trades, or were considerably older than the average traveller looking to make their fortune in the Gold Rush or at the very least start a new life in glorious surroundings. The only information available regarding the John Diamond on RMS Tayleur is his name so it is impossible to narrow the search results down further. Did the grieving widower stay in Liverpool until a few months later when a ship meant to be one of the safest afloat sailed for Australia? Could they be one and the same? Possibly. This is just one of the many mysteries involved in these strange shipwrecks. If you can solve them, do get in touch! Gill Hoffs is the author of “Wild: a collection” (Pure Slush, 2012) and two shipwreck books, “The Sinking of RMS Tayleur: The Lost Story of the ‘Victorian Titanic’” (Pen & Sword, 2014, 2015) and the recently released “The Lost Story of the William & Mary: The Cowardice of Captain Stinson” (Pen & Sword, 2016). She lives in Warrington, England, with Coraline Cat. If anyone has any information regarding the wrecks and the people involved, they can email her at gillhoffs@hotmail.co.uk or find her on twitter @GillHoffs. What the hell are astral bells? Who the hell was the Girl in Blue? Now we know! Watch out for those phantom cars! Watch out for those orange bat-eating crocodiles! Yes, I know that probably goes without saying. That time Simon Bolivar met Ferdinand VII. At a badminton match. Smith Wigglesworth, who just couldn't let the dead rest in peace. This week in Russian Weird: They're being invaded by spiders from Mars. How hot is Hell, anyway? A 17th century Icelander in India. Blood suddenly materializes on your writing table. I hate it whenever that happens. A ghost saves a woman from bad plumbing. The legacy of William the Conqueror. Celebrating with transparencies and illuminations. The execution of the Terror of Richmond. The Battle of Hastings, as viewed by the losing side. One very, very odd death. Madame de Genlis on female education. The case of the disappearing boat. An 18th century Irishman weighs in on French torture. Another of those art world "Oopsie!" moments. And this one's a whopper. Some accounts of execution by boat. Digging up the Hellfire Club. 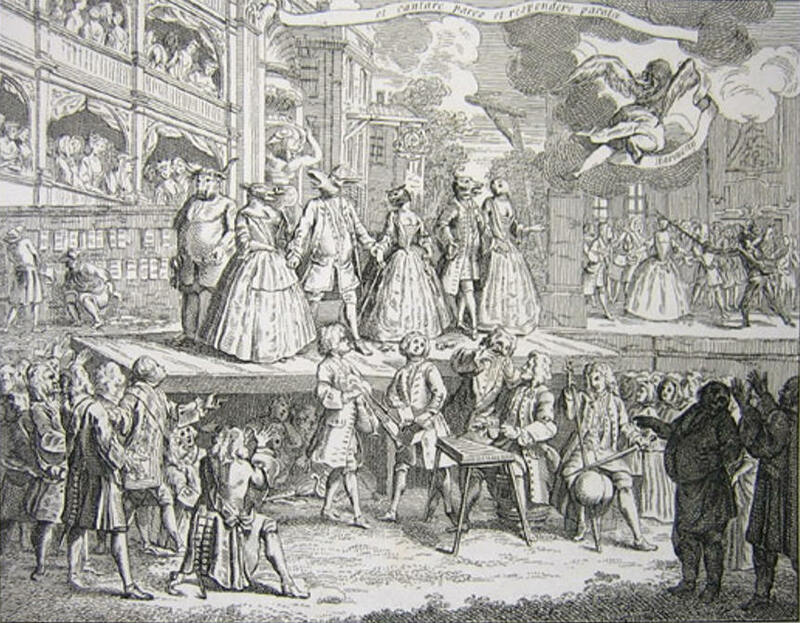 The legacy of Ben Jonson. The uniquely dreadful death of Giles Cory. A historic 18th century French home. 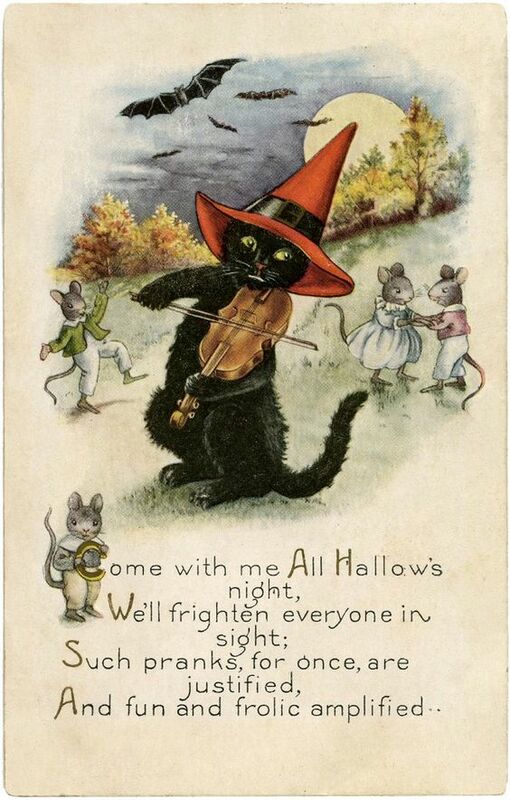 Oh, just that characteristic Victorian good taste and sensitivity about death. Ah, those Victorians. Not even a bath of molten iron could get them down. Mrs. Wm. Niedig of Belleville is a handsome young matron, buxom and high-spirited. She enjoys a good story and tells them herself in a way to convulse her listeners. She has a new one now. But she tells it in awed tones to only her most intimate friends, and they do not laugh. It is a story of flower pots, not ordinary flower pots which sit demurely on the shelf and never say a word, but flower pots which make strange noises and dance about most unbecomingly. Mrs. Niedig is not superstitious, but flower pots that dance and hop about are not to her liking. Mrs. Niedig has a very dear friend whose name until a few months ago was Mrs. Jennie Decker. She was a young and pretty widow with a literary bent, and she attracted the discriminating attention of Wm. T. Crouch, a photographer. Mr. Crouch has white hair and a patriarchal beard, but his cheeks are rosy and he is an inveterate punster. He is a prominent G. A. R. man, and belongs to most of the secret orders. He is also an excellent judge of female beauty. He proved this when he selected the attractive and intellectual Mrs. Decker for his third connubial companion. They were married and took a. trip to Chicago. Then they settled down in Belleville in the handsome and modern brick residence at Monroe street and Mascoutah avenue, which had been built by the second Mrs. Crouch. When the second Mrs. Crouch died about a year ago she left a will which occasioned much comment. She was possessed of considerable property, but she cut off her husband with a pittance. Mr. Crouch formally relinquished his rights under the will, and took instead what the law allowed him. which was much more than the bequest. She also gave detailed directions about the dimensions and cost of her tombstone and set aside a fund for keeping her grave green. One of her nieces was commissioned to perform the latter task. There were many other queer provisions, not all of which have been carried out. It is said that in life Mrs. Crouch No. 2 was credited with the ability to take care of herself and incidentally make it uncomfortable for those surrounding her. It is said "she had often threatened if things did not go to suit her after her death that she would return and give token of her displeasure in the usual way. She was very fond of flowers, and left behind her, when she went to heaven, a choice collection of beautiful flower pots. The widower did not share her love of posies, and after her death the pots were unceremoniously consigned to a dark corner of the cellar. His new wife appreciated the beauty of the pots, but it was perhaps only natural that she left them reposing in the cellar. A few days ago Mrs. Niedig called to see her friend. They were looking over the house and came to the cellar. Mrs. Niedig is also an enthusiastic floriculturist. She went into raptures over the beautiful pots. "Pick out half a dozen of them." said Mrs. Crouch, "and I will send them to your home." The pots were sent and Mrs. Niedig filled them with rare flowers and placed them on a broad window sill at her cosy home on East Main street and Douglas avenue. They had not been there long when they began to get prankish. Strange noises issued from them, Mrs. Niedig says, and they shifted about in a manner suggestive of spirit agency. Mrs. Niedig got nervous and kept a close watch on the uneasy pots. Saturday she was sweeping at a far side of the room when the pots became restive. She stopped and looked up. As she did so the largest of the pots was hurled by unseen hands across the room. It crashed into fragments at her feet. Mrs. Niedig was entirely unnerved by the manifestation. She locked up the house and went down town. She found Mr. Crouch at the photograph gallery. He was as full of life as the flower pots and began to twit her about looking pale. She told him about the performance of the flower pots. He stopped joking and turned very pale himself. "If I were you." he said, very soberly and earnestly, "I would destroy those pots." Mrs. Niedig hurried back home. One by one she carried the pots into the back yard and dismantled them into small pieces. Then she breathed freely again and the color came back into her cheeks. Mrs. Niedig does not, as stated, believe in supernatural manifestations. She does not attempt to explain the phenomena which she witnessed, but she is very sure it all happened just as she says. She could not be induced now to accept anything which belonged to the lamented Mrs. Crouch. If this is how Mrs. Crouch #2 felt about losing custody of flower pots she had once owned, one wonders what she had in store for the woman who appropriated her husband. The moral of this week's post is: Never give gifts of peacocks. Also, don't get into quarrels with coroners. They are far too comfortable around dead bodies. All this will soon become clear to you. The central figure in our little cautionary tale is Dr. Hugh McCullough, coroner for Jefferson County, Kentucky. He lived with his wife Hattie and young son in what was--thanks to them--about to become one of the bloodiest neighborhoods in Louisville. Living across the street from them was the family of William and Perrina Owen. The two couples had been friends for some years. The McCulloughs had even gifted the Owens with a peacock, and you can't get much more neighborly than that. Sadly, this suburban bliss ended in a big way on September 17, 1900. On that fateful day, Mr. and Mrs. Owen got into a very noisy argument--so noisy that Hattie McCullough could follow every angry word. She snorted that Mr. Owen should beat his wife's face "into a jelly" and send her to an asylum. As it happened, the Owens' daughter Julia was passing by the McCullough house at that very moment. She overheard this remark, and couldn't wait to pass it on to her mother. The good news is, this caused Perrina to forget about her anger towards her husband. The bad news is that she transferred her wrath to Mrs. McCullough. She marched over to her neighbor's and got into a flaming war of words with Hattie, after which she stalked back home. Things might have calmed down after this, if young Julia hadn't gone running to her mother again, this time with the complaint that Mrs. McCullough had called her a "damned strumpet." Perrina went dashing back to the McCullough home, and the whole exchange of insults was resumed. Later that day, after he had learned what had happened, Hugh McCullough went over to the Owens and urged the two women to kiss and make up. Perrina responded to this peace offering with, "Yes, I will let it drop. It wouldn't do me any good to bring you into court, for you haven't got anything anyhow." Without saying a word, McCullough turned on his heel and stalked off. All was quiet, if not exactly peaceful, until September 24. The resumption in active hostilities was triggered by the Owen peacock. In the words of Mrs. Owen, "Two men who were in the employ of Mrs. McCullough came into my yard with a lighted lantern looking for a peafowl which the McCulloughs had given me some weeks ago, but which had made its escape some time yesterday afternoon. Not liking to have strange men walking around the yard after dark I ordered them off the place. The men left and a short time after Mrs. McCullough come to her front gate and demanded to know why I ordered them away." The two women got into yet another screaming match. Perrina Owens then turned to drowning out Mrs. McCullough's insults by singing the popular ballad "Ben Bolt" at the top of her lungs. Anyone who has ever heard the song will not be surprised that Hattie reacted by grabbing her revolver and firing a round of shots at the Owens home. Mrs. McCullough then phoned her husband at his workplace with a demand that he hurry home and get in on the action. When he arrived, his lady handed him a gun. At this point, the most rational thing Coroner McCullough could have done was flee town and never look back. Instead, he went over to the Owen house and snapped at Perrina, "Damn you, you will have to stop this trouble with my wife." What happened next remains uncertain. Both warring parties gave widely varying and equally unreliable accounts. All we know for certain is that when Perrina's 21-year-old son George joined in the argument, the coroner wound up shooting him dead. The Owen family dog, a Newfoundland named Nell, was also fatally shot when--according to Hugh--the animal tried to attack him. When the police came to arrest Dr. McCullough, the coroner made the only sensible remark attributed to anyone in this story: "Well, boys, it looks like I'm in trouble." That night, the doctor gave an interview from his jail cell to a "Courier-Journal" reporter. McCullough claimed that he had only acted in self-defense. George Owen, he stated, had tried to attack him with a knife. McCullough went on to say that for years, the Owen family had been "terrorizing" the entire neighborhood. "They have always been obnoxious. The mother pried into the affairs of the neighbors and trouble often resulted. About two weeks ago they began their attacks on my wife and myself. They irritated us in every conceivable manner. It finally became unbearable and last week I reported them to the police." He added, "While I greatly regret the affair, yet it was thrust upon me, and I only acted as I should have done." At the preliminary hearing, a policeman named Maurice Dooling testified that the morning after the murder, he found a knife near where George Owen had been standing when he was shot. Julia Owen, however, stated that she had seen Dooling himself plant the knife on the scene. Perrina Owen maintained that her son did not even own a knife. The defendant gave his version of the tragedy. He declared that he went to the Owen house, not to commit murder, but to attempt another peace mission. When he arrived there, Mrs. Owen greeted him with "You [expletive deleted in all published reports,] get off my premises." Then McCullough heard George ordering the Newfoundland to attack him. "I saw the dog and Owen advancing and, as God is my judge, he had a knife in his hand. I shot the man first and then the dog. The dog weighed about 170 pounds. I shot because I believed my life was in danger." McCullough added that a boarder at his home, Katie Hogan, had told him some days before that George was threatening to kill him. Hogan corroborated this claim. She also asserted that when the coroner went to the Owen house, he was not carrying a gun in his hand. She went on to say that "When he reached Mrs. Owen's house, I heard her call him a vile name and soon afterward her son stepped around a bush. I saw him draw his knife. He sicked the dog on Dr. McCullough and said, 'Now I have got you!' Then Dr. McCullough fired. I certainly saw the knife." There was more spectacularly confusing testimony about this alleged knife. George's uncle, John Oyler, claimed that he searched the scene shortly after the murder, and found no knife. The two policemen who arrested McCullough stated that George indeed had had a knife, but they conceded they had been unable to find it. More witnesses from the Owen camp testified that George never carried a knife in his life. The testimony all boiled down to a "They said/They said" situation, with both sides facing serious credibility issues. In the end, the jury sided with the prosecution sufficiently to order that McCullough stand trial for murder. It was a busy time indeed for the McCullough family. In addition to the murder indictment, the coroner was also being charged with extorting money from local undertakers. On October 24, his wife was indicted for shooting at Mrs. Owen. Just for good measure, the eyewitness testimony claiming he planted the knife got Maurice Dooling charged with being an accessory after the fact. The trial began on November 21. It essentially followed the same lines as the preliminary hearing, although in his opening remarks, the defense attorney managed to sneak in the interesting information that George Owen had once attacked his own father with a club, and that at the time of his death he was under a peace bond. Several of the victim's friends took the stand. They testified that on the fatal night, they were lounging around with George outside a local saloon. They saw McCullough speeding by in his buggy, and they instantly suspected there would be trouble. George told them he was going home to defend his mother. One of George's friends, John Hawes, stated that he heard Mrs. Owen tell Dr. McCullough to get out of her yard. George said something that was inaudible to Hawes. McCullough responded with "What in the hell have you got to do with it?" The next thing Hawes heard was a gunshot. He claimed McCullough told bystanders, "If you don't shut up, I'll kill a couple more." This damning testimony was somewhat blunted when the defense was able to prove that Hawes was nearly deaf. Perhaps the most surprising witness was Fred Krause, another friend of the dead man's. He proved to be a gift for the defense. He testified that contrary to what the prosecution was arguing, George did indeed sic his Newfoundland on the defendant. He added that McCullough had backed up several steps before firing his gun. (Confirmation for this last detail came from a doctor, who testified that George had no powder burns on his body, suggesting that the doctor was trying to retreat when he fired.) Unfortunately, no witness for either side was able to clear up the enduring riddle of whether George was holding a knife or not. McCullough made a good witness for himself, coming off as "self-contained" and seemingly honest. He denied that his wife had given him a gun. His story was that he had gone to the Owen house in an entirely pacific spirit, only to be met with abuse from the fearsome Mrs. Owen. As he started to leave, he was confronted by George, who addressed him with unprintable words and ordered the dog to attack. When he saw that George was holding a knife, he knew that "my life was in danger." When the dog sprang at him, he felt he had no choice but to shoot. With so much conflicting evidence, the character witnesses took on unusual importance. This also was to the defendant's advantage. While a parade of witnesses were willing to praise McCullough's good reputation, the dead man had fewer supporters. In fact, many were quite happy to declare that George Owen had been nothing less than a neighborhood menace. After deliberating for half-an-hour, the jury returned a verdict of "Not Guilty." Dr. McCullough happily returned to his job. (The charge that he had solicited kickbacks from undertakers seems to have been dropped.) Fortunately, he appears to have provided no further corpses for his mortuary. Presumably, the charges against his wife and Officer Dooling were dismissed as well. And before you ask, what became of the peacock is not recorded. [Note: There was a characteristically weird sequel to this case. In 1904, William Owen, who had become a hopeless alcoholic, committed suicide by drinking whisky he had laced with carbolic acid. Or did he? A Mrs. Joseph Stabb told the police that immediately after William died, the newly-minted widow told her, "Mrs. Stabb, I fixed that up for him and he got it--I am glad of it." When asked to clarify this startling remark, Perrina responded, "I mean that I put carbolic acid in whisky for him and he got it; that's what I mean." Investigation turned up the interesting fact that on the night William was poisoned, his wife had sent their son Rem to the druggist to buy carbolic acid. It was also learned that William was hated by his entire family, he had been heavily insured, and Mrs. Owen was to receive his army pension after his death. Perrina Owen was arrested for murder. She changed her story. 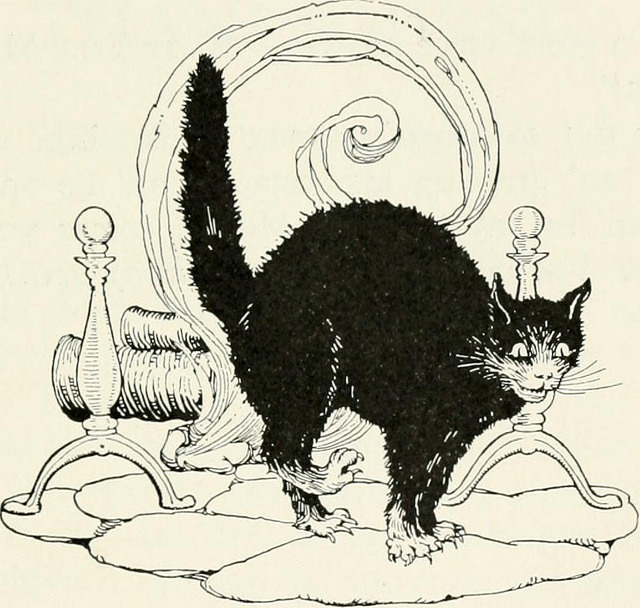 Instead of asserting that her husband killed himself, she now claimed that she had put the poison in the whisky to use as a household cleaner, and William drank it by accident. Fortunately for Perrina, when Mrs. Stabb was put under oath, she also told a different tale. She denied that Mrs. Owen had boasted of murdering her husband. Instead, Perrina had merely said that she had put carbolic acid into the whisky to kill bedbugs, but she wouldn't mind if her worthless husband drank it as well. Lo and behold, a few minutes later, that was exactly what he did. Mrs. Stabb's altered testimony led the judge to dismiss the charges against Mrs. Owen, and, like her old enemy Hugh McCullough, she was set free to go on her merry way. We are terribly proud to announce that for the entire month of October, the Link Dump will be sponsored by the Halloween Cats! What the hell is the difference between Yeti, Bigfoot, and the Abominable Snowman? Now you know! Watch out for those bewitched cows! Watch out for those kites! Watch out for those Demon Hands! Watch out for those Cigarette Fiends! The Corpse Queen of Portugal. All the vintage ghost-hunting tools you'll ever need. The sad case of the blue cats. A ship on top of an iceberg. 18th century English ladies and their hats. Amelia Dyer's infamous baby farm. The Wailing Woman of Zululand. The killer who painted Voltaire. A long-lost photographic record of life in a Swiss valley. How to solve your own murder. This week's Advice From Thomas Morris: What not to do with a pencil, guys. And a simply sad tale from the medical journals. The other victim of the Lincoln assassination. Ladies and gentlemen, meet the Iraqi Transport Minister. The art world has one of those "Oopsie!" moments. From the "history's odd couples" file: Sixtus V and Elizabeth I. Gone down to Plimsoll's Mark. Singing your way to health. The history of messages in bottles. The mystery of the buried stone slab. That time Napoleon met Goethe. The soap opera life of Alys of France. The execution of a Haitian tigress. Flesh falls and blood rains. How not to be buried alive. Because I know you've been dying to ask me, "Undine, how do I make my fingertips pointy?" Because I know your follow-up question would be, "Undine, do you know of any hotels where a ghost will sit on my chest?" An 18th century hunting accident. The reign of England's William IV. The Great Scottish Bingo Panic. Reconstruction of the House of Caecilius Iucundus in Pompeii from Livius Drusus on Vimeo. This week in Russian Weird: Oh, just a bunch of Siberian headless skeletons.